You are here: Home / Car audio and stereo accessories shop. / Bluetooth Audio & Hands Free options / Replacement NZ Bluetooth VW Android stereo. 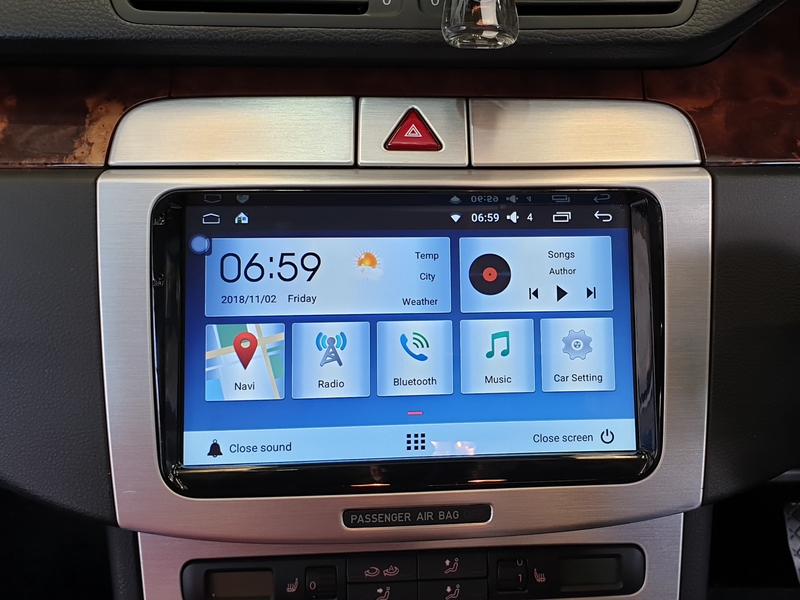 This aftermarket Android with 8″ touch screen player is designed for 2005 to 2014 Mark five and six VW vehicles. It has Bluetooth for hands free phone calling and music streaming as well as downloadable Google GPS mapping. It fits straight in to the dash without modification and connects to the vehicles wiring loom and Can Bus. AUX and USB. Touch screen with downloadable Google maps via WiFi built in. This aftermarket stereo designed for 2005 to 2014 Mark 5 VW (Golf, Tiguan, Polo, Tourag, and Passatt) vehicles has Bluetooth for hands free phone calling and music streaming. and is Reverse camera ready with RCA input. Download Apps and Google maps via built in WiFi.